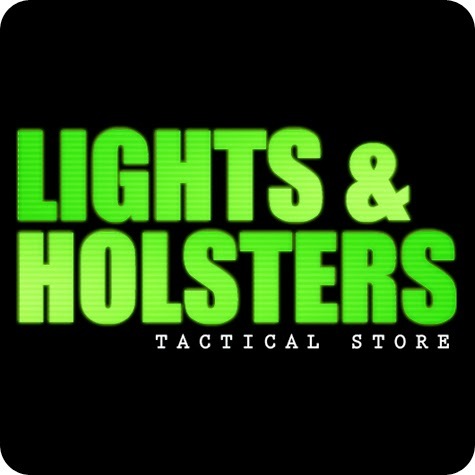 In doing some research on the current state of right-to-carry issues, I found an interesting article which is posted below. We all know that over the last 20 years the laws in many states have been changed in favor of gun owners wishing to carry their firearms for protection. Without taking an accurate count, roughly 40 states now have shall-issue laws for right-to-carry permits and two states don't require any sort of license at all. New Hanpshire may become the third to join that tight group of states that has an absolute respect for the constitution and does not look upon their citizens as "sheeple". This article tells of a 24-year veteran of the Maryland State Police who was denied a license to carry a gun by the very organization he served. They essentially denied his permit based on the ol' "justifiable need" argument. It reminds me that even in our "free country", our ability to legally defend ourselves is often determined and limited by a number of factors that should have no place in the world of legitimate self-defense. Unfortunately, the political makeup of a particular state's legislature often places an arbitray value on the need for people to defend themselves. Please read on and let us know your thoughts. When former Frederick County Sheriff Robert C. Snyder applied for a right-to-carry gun permit several years ago, he had every reason to believe it would be granted. The former lawman had served for 24 years on the Maryland State Police and was sheriff for eight years. "I wanted a revolver to carry in my car," Snyder recalled. "I wanted one for protection if we were traveling." Imagine his surprise at learning that the Maryland State Police denied his permit application. Snyder said he was told a permit would be granted only if his life were threatened and he had documentation to prove it. Ultimately he was awarded the permit thanks to an effort by Frederick County Delegation Chairman Paul Stull, but Snyder said the experience made him wonder if he -- a former sheriff -- had so much trouble, how would the average person fare? That incident is one reason Snyder supports a legislative proposal that would give the current Frederick County sheriff the responsibility to issue right-to-carry permits, rather than Maryland State Police. "(Sheriff Chuck Jenkins) knows the people here and he knows the bad elements that would be trying to get a gun moreso than someone in Baltimore or Pikesville," Snyder said. "I think it's good and I support him totally." The Frederick County Commissioners are asking the county's delegation of state lawmakers to support the proposal. A similar bill is also proposed in Washington County for the Washington County sheriff to take on permitting duties. Jenkins said the change could help eliminate processing delays. He said it takes an average of 90 days under the current permitting structure. He said he thought he could do the same background checks and deliver an answer more quickly. But the proposal is attracting opposition -- or at least serious questions -- from an unlikely group of lawmakers: Republicans who are pro-gun rights. Delegate Michael Hough, who represents Frederick and Washington counties, said for years, gun rights advocates have fought local gun control bills by saying guns should be regulated at the state level. If they allow Frederick County to "pre-empt" that responsibility, other jurisdictions could want to take it over as well. "Once you poke holes through pre-emption, even for something good like right-to- carry, it opens it up when we try to kill gun control bills," Hough said. He thinks the current permitting system is flawed, but would prefer a statewide solution. He would like to change state law to say that the police "shall issue" a permit, rather than "may issue," which allows more denials. Hough said he has heard anecdotes about people who were beaten up and wanted to carry a gun for safety, but were told that they had to be assaulted twice before they would qualify. He hasn't made up his mind about the proposal, though. He'd like to hear more from gun rights groups to see where they stand. "Right now, I have some serious reservations about it," he said. Frederick County Commissioner Blaine Young said he hasn't heard any concerns from gun rights groups about the proposal. He was a guest on a national radio show produced by the National Rifle Association to talk about the proposal shortly after it was proposed. Young, who said he believes the current process is bad, said he was contacted by the NRA becaause the group wanted to applaud his proposal as a step forward. "(The proposal) doesn't pre-empt anything," Young said. "Pretty much what is in the law stays the same, it just delegates the responsibility." But Hough's concern is shared by several Frederick County lawmakers. Sen. David Brinkley, who will become delegation chair when new lawmakers are sworn in this month, said he doesn't think the bill will go very far. "I think the Frederick County sheriff is more than able and willing to handle it appropriately, but I'm not sure the other 23 jurisdictions are where I want it to be," Brinkley said. Like Hough, Brinkley said Maryland should be a "shall- issue" state. Senator-elect Christopher Shank of Washington County introduced legislation to that effect when he was a member of the House of Delegates. The current process for permits is "capricious and arbitrary," Shank said, and he doesn't know why it takes so long. But as a member of the House Judiciary Committee, Shank has for years argued that there should not be a patchwork of local regulations dealing with firearms when it ought to be a responsibility of the state. "The problem with that though is what happens in Montgomery County, and what happens in Prince George's County?" said Shank, who has helped kill bills that would ban firearms shows in Montgomery County. "I just think that's a recipe for more arbitrary and capricious actions statewide." A spokeswoman for the Maryland State Police said she could not confirm the agency's position on the bill this week, and declined to comment on processing times for the permits. Jenkins was also unavailable for comment.